If there's one thing I do like about making the bed, it's getting to see the evidence that you were beside me in the night. When you're not here, I wake up in the morning to find your side unmussed, unrumpled, un-slept in—of course. It makes the job easier, but it makes me sad. Tomorrow when I get up, you'll most likely be gone already, taking our son to school or running an errand. 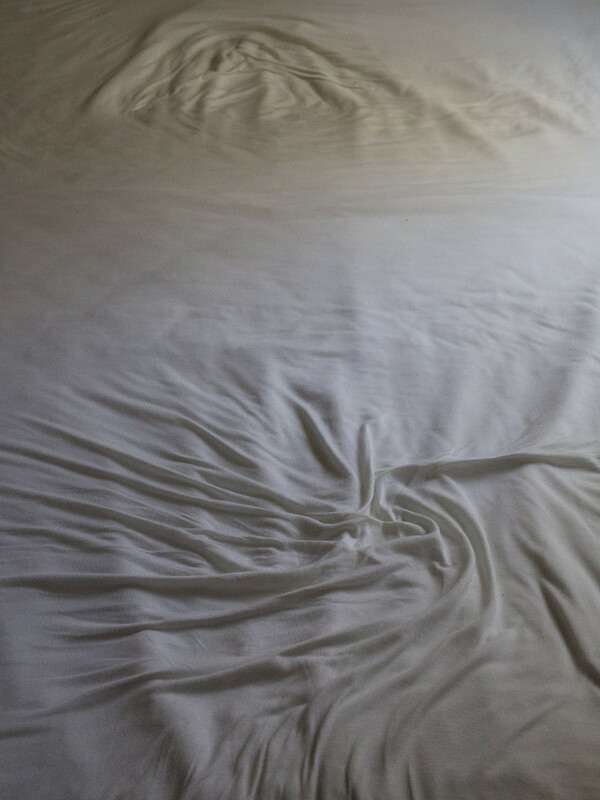 When I strip the comforter, I'll look and see the morning light caressing the wrinkled topsheet, and I'll think of us together. And then I'll run my hands across the fabric, smoothing it out, fluffing and stacking the pillows, pulling the blanket straight. Because that's the way you like it, and because I love you.